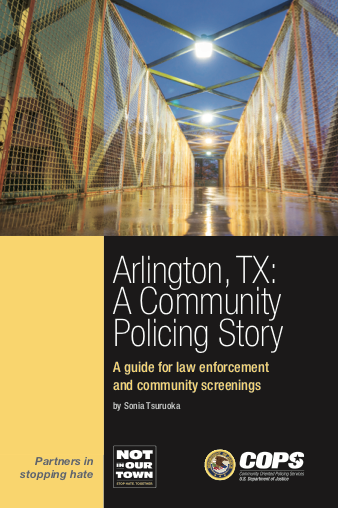 This guide is designed as a tool for law enforcement and community groups to facilitate screenings and discussions of the 27-minute film Arlington, TX: A Community Policing Story. The guide provides: discussion questions and tips for organizing internal law enforcement agency and community screenings; information about procedural justice and legitimacy; and supplemental resources. Used together, the film and guide can help agencies work together with personnel and community members to initiate conversations about trust building, procedural justice, and institutional legitimacy in order to improve relationships between police and the communities they serve.